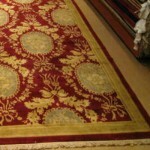 Accenting any home, rugs provide color, texture and warmth, making a rug or set of rugs a wonderful holiday gift. Considering that rugs can be used in most any room of the house, rugs are in high demand especially with the popularity of hardwood floors. Rugs can be used as an accent to a room, such as a living room or bedroom rug, or can be used for comfort, such as at the sink in the kitchen or at the tub in the bathroom. As with any home furnishing, matching the colors and style of the home is important. Browsing through department stores it’s easy to feel the plush rugs designed for the bathroom floor compared to the more tightly woven blends used for higher trafficked areas, such as hallways or living rooms. Bamboo rugs are popular now for their durability and elegance. Sisal also makes a very durable and beautiful rug. 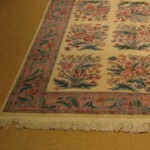 Depending upon the climate, rugs are even used outside, beyond the mere doormat style. Useful on decks and back yard patios, outdoor rugs provide comfort and style to the outside of the home. When used around the hot tub, especially, rugs come in handy to collect and localize water, much like a rug beside the tub or shower in the bathroom. Standing for long periods of time can be uncomfortable and could prohibit activities such as cooking, dishes or even laundry. There is a perfect rug for just such an issue. It’s called the anti-fatigue comfort mat. Constructed to actually relieve back discomfort as well as foot pain, these mats are made with materials that are non-toxic and free of heavy metals. For chronic back pain sufferers, this mat would make the perfect gift for someone who likes to work at the tool bench in their garage, but who has trouble standing for long periods of time at the sink, stove or washer and dryer. Check out this year’s most popular Christmas gifts.